March 2 is the 162th birthday of Theodor Seuss Geisel. 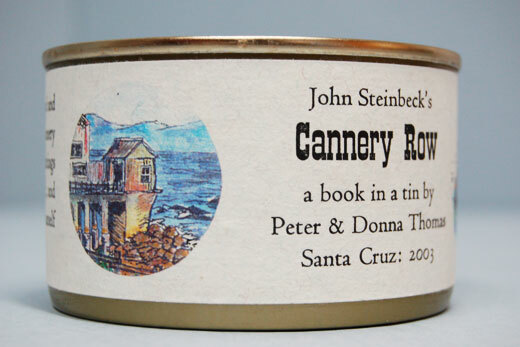 The canned book is part of Emory's Manuscript, Archives, and Rare Book Library (MARBL), which holds several hundred thousand volumes of rare books, including contemporary artists' and fine press books. The event, which is free and open to the public, will take place in the Jones Room on level 3 of the Woodruff Library this Sunday 3 March at 5:00. Light refreshments will be served. Atlanta favorite, Gone with the Wind, held the record for most Oscars wins for twenty years! This year’s nominees include: Lincoln (Team of Rivals), Life of Pi, Les Miserables, Silver Linings Playbook, Skyfall (Ian Fleming’s 007 novels), The Hobbit, Snow White, Hitchcock, Argo, and Anna Karenina. Check back for more trivia contests! You never know what's on at the library! Library budgets in the UK are also on the chopping block. For "Love Your Library Day” earlier this month, a wee library in Scotland found some creative ways to encourage attendance for the event. Among the somewhat controversial offerings were free pole dancing classes and ‘booky table tennis’, which used (or abused) books as paddles. No reports regarding an increase in circulation (books, that is), but the Mayfield librarians were thrilled by the community turnout. From the video, it looks as if folk had a great time at the library! 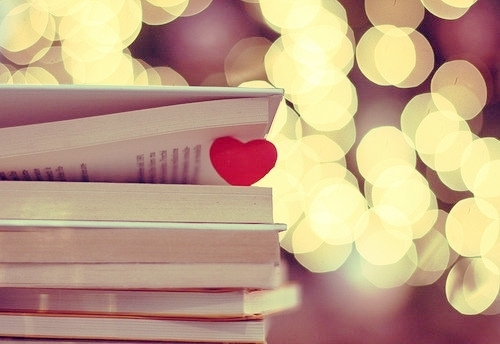 February is Library Lovers and Heart Health Month. You don’t have to get your nose out of a book to get fit. You’ll find exercise books and DVDs in 613.7s. There’s something for couch potatoes to hard bodies; from kids to seniors. Try some healthy recipes from the 641.5 section. Cookbooks include low carb, gluten-free, diabetic, vegan, and desserts, too. You might just find something in our Book Nook, too. Make the time on the treadmill or stationary bike go by a little faster listening to an audiobook. If you can ‘multi-task’, download an ebook. Did you know that Ocee Library offers Yoga and meditation classes? Please check their schedule. As always, if you haven't been active or have health concerns, you may want to talk to your doctor before beginning an exercise program. fall in love with you, too? They watch you from the shelf while you sleep. prone to at night when they’re bored and there’s nothing else to do but tease the cat. next month, so you can see how much you’ve both changed. the way your laughter made its pages tremble with joy. Then there was that book, just last week, in the bookstore. It caught your eye. But you’re thinking about it now, aren’t you? You fall in love so easily. But just so you know, they do, too. feature for Barnes & Noble’s Nook. 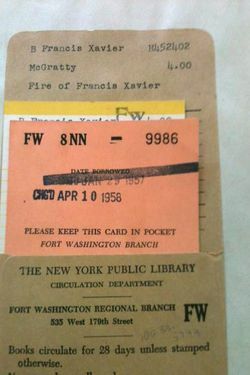 After 55 years, an overdue book, Fire of Francis Xavier, was recently mailed back to the Fort Washington Branch of the New York Public Library. While the late fee would’ve only been the cost of the book, a check for $100 was enclosed. The library’s records don’t go back to 1958 so the borrower can’t be traced. The library won’t reveal the name on the check. Two books checked out by George Washington in 1789 have yet to be returned. Adjusted fines are over $300,000. 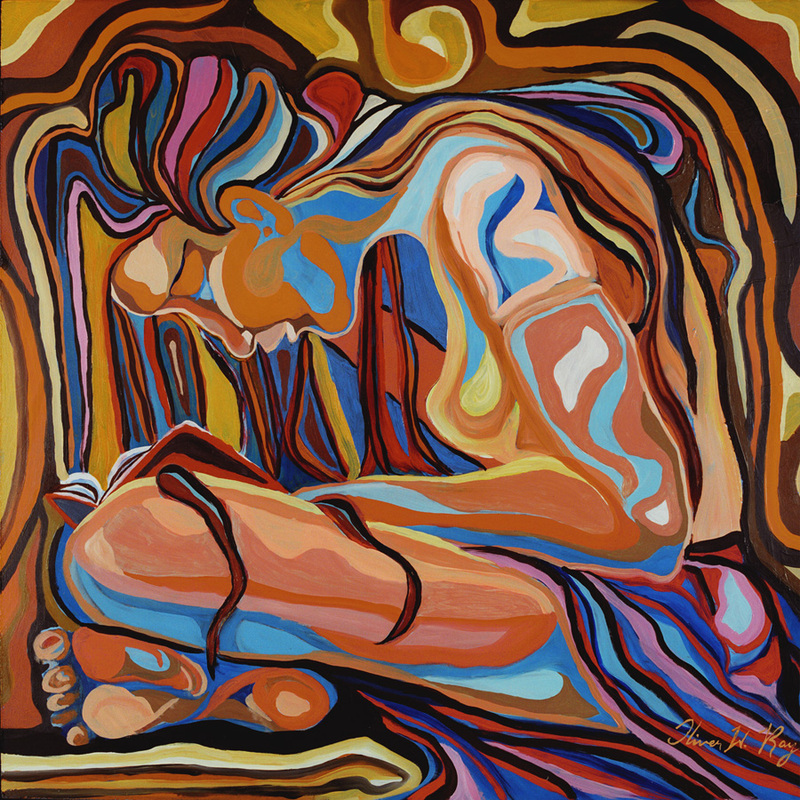 “Much Ado About Nothing” or “all you need”? Here’s a selection of books from Brain Pickings to give a little insight on love – just in time for Valentine’s Day! “What a big book, captain, might be made with all that is known!"